Did you know? Today is National Pancake Day! I learned this from IHOP which of course is the authority on pancakes. 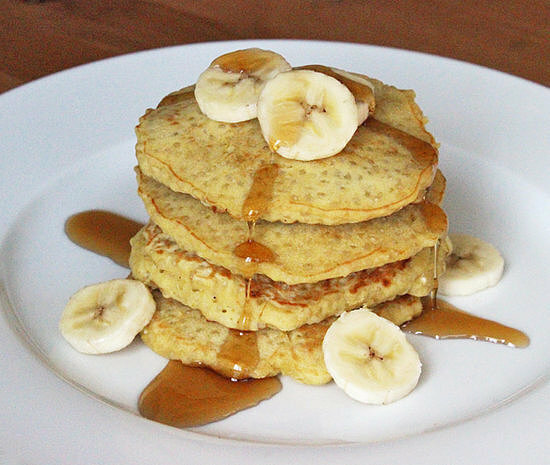 In honor of this day, I decided to share with you some healthy pancake recipes which you can share with your family today, or any other day. We start off with a healthy alternative for the typical flour pancake. In a medium bowl, whisk together quinoa, flour, baking powder, and salt. In another medium bowl, whisk together egg, egg white, butter, milk, and syrup until smooth. Add egg mixture to flour mixture and whisk to combine. Lightly coat a large nonstick skillet or griddle with butter and heat over medium-high. Drop batter by heaping tablespoonfuls into skillet. Cook until bubbles appear on top, 2 minutes. Flip cakes and cook until golden brown on underside, 2 minutes. Wipe skillet clean and repeat with more melted butter and remaining batter (reduce heat to medium if overbrowning). Serve with maple syrup and fresh fruit or preserves if desired. 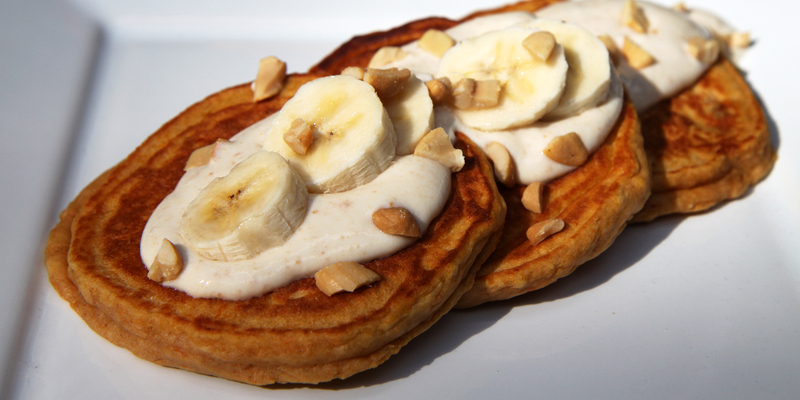 Here's a delicious pancake that also allows you to get your fruits and veggies in! I love sweet potatoes!! In a medium bowl, mix together the flour, baking powder, salt, and brown sugar. Then add the sweet potato, egg, and milk, and mix until smooth. Add the cinnamon. Stir in the diced banana. Place a skillet over medium heat, and spray lightly with cooking spray. While the pan is heating up, make the yogurt sauce. Mix together the yogurt, milk, peanut butter, and honey in a small bowl. Set aside. Drop large spoonfuls of batter onto the pan, making pancakes that are about three-and-a-half inches in diameter. Cook until bubbly, about two minutes. Flip and continue cooking until golden brown. Makes about 12 pancakes. Place three pancakes on a plate, and pour one quarter of the yogurt sauce on top. Add some slices of banana or other fresh fruit, sprinkle on some chopped nuts, and enjoy! This final recipe is for those who can't live without good old fashioned pancakes. Here the recipe is modified for a healthier version of the classic. Sift flour, baking powder, salt, and sugar together in a large bowl. Make a well in the center and pour in milk, egg whites, and melted butter; mix until smooth. Heat a lightly oiled griddle or frying pan over medium-high heat. Using approximately 1/4 cup for each pancake, pour or scoop batter onto griddle. Brown on both sides and serve hot. 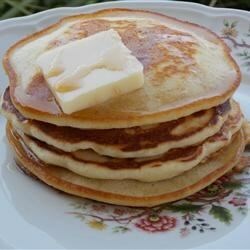 I hope you enjoy these recipes and Happy National Pancake Day! !